LotusTalk - The Lotus Cars Community > Lotus Discussions > Interior/Exterior > "Exige" embroidery on seats? 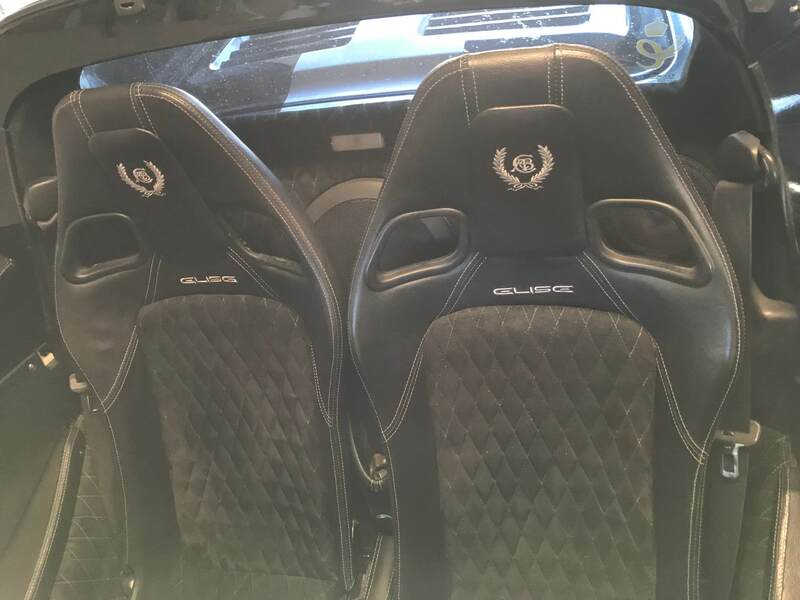 I've searched the forum and had no luck finding an answer to this trivial question... but I've seen Exige seats with and without the embroidery "Exige" - both claiming to be OEM. Does anyone know what determined if a car came with "Exige" on the seats or not? To expand the fun of friendly conversation, let me also ask what were the interior trim options for the Elise/Exige? I know the stock seats of my 2007 Exige S had Exige embroidery (white). Not sure of the differences, just know that's what I had. There's a decent pic at this URL. NEW OEM Sport Lotus seat for the Elise, Exige Europa,Tesla with Probax padding. Last edited by lt1_fd3s; 01-28-2018 at 04:13 AM. I believe the '06 and '07's had the "Exige" stitched on the seats. The '08 and up did not, except for the sport models with the carbon seats.